Interstate Hydrogen Highway was brought up by Justin Eric Sutton. This highway mainly depends on hydrogen and water. 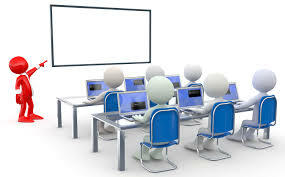 Hydrogen is obtained in the basic process that produces electricity when sunlight striking EPV(electro photo voltaic panels).panels is then used to convert distilled water into hydrogen and oxygen . while the oxygen could be bottled and sold cheaply the hydrogen would serve as a "battery" store in compressed form in cooling tanks adjacent to the traveler system in utility centers. 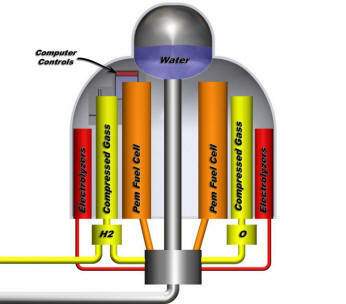 Electricity is produced by hydrogen using hydrogen fuel cell technology. Electricity generated in hydrogen highway by Magnetic Levitation (MAGLEV) technology may be used to provide for other power needs such as utility stations, access stations lightning and maintenance and rest can be used for domestic usage. A certain amount of hydrogen would be stored each day to encompass night time travel and weather related burdens. Speed of trailblazer in hydrogen highway is 250-300 MPH. all it takes is "$1,50,00,000 per mile , and $2,50,000 per Rail Car. With an eventual system size of nearly 54,000 miles would yield as much as 45 billion watts of continuous electrical power. MAGLEV vehicles of the kind proposed by Mr. Sutton, would travel at nearly 250 miles per hour on cushions of vibration free, magnetically induced air, for a flight a few centimeters off the MAGLEV track. Normally a trip of between 2 and 3 hours by car (plus the commensurate tolls, fuel stops and bathroom/food breaks): travel between Penn Station and the famed Atlantic City Island 116 miles away, at 250 miles per hour, would take considerably less... in fact about 1/5th the time. Travel to and from the resort would have none of the hassles normally associated with a short hop jet flight. It would be accomplished without wasting all that petroleum, fuel that could be better used to explore the Atlantic City seashore community, visit Casinos and take in the night sites. And, another 15-20 minute hop on the Interstate Traveler a day or two later, and one could travel from AC to Philadelphia to see the birthplace of our Country, Independence Hall! Why even leave your car behind? The design parameters of the Interstate Traveler System not only call for passenger ready MAGLEV vehicles, they also call for "auto carriers". Such carriers could take the family's Ford 500 for an ultra-fast trip at 250 mph to any location on the system, offloading them to allow the family to motor around the area. A short two week vacation could visit a wide variety of areas covering nearly 2/3 of the Nation, stopping for a day or two to explore each area, then hopping on the Interstate Traveler System and moving on to the next. The possibilities of Mr. Sutton's project are boundless when one also factors in special use lines which can transport container freight from seaports inland, powered only by the Sun and the novel Hydrogen producing energy storage facilities of this highly adaptive project plan. Maglev technology allows heavy objects, like MAGLEV rail cars, to become momentum storing vehicles of extraordinary efficiency, flying slightly above the tracks at up to 300 MPH or more. Combining solar energy panels on the tracks (see picture to right) with full time energy converters (see picture below) that convert the resulting electricity into hydrogen obtained from water, The Interstate Traveler pays for itself, even the cost of construction and operations is recouped within the first three years of interstate traveler usage! A typical Interstate Traveler hydrogen production station, which would be built at various distances along the tracks, would gather electricity from the Solar Cells, and process water from local sources, producing compressed Hydrogen (H2) that becomes the power source for the Interstate Traveler (and producing substantial excess Hydrogen for use by America's demand for sustainable energy) and compressed Oxygen (O) which has its industrial and medical uses as well. The Bureau of Transportation Statistics sites the cross country Eisenhower Interstate Highway, built with highway grants from the Federal Government, as being 54,000 miles in length, with a total of 167,000 miles of highway grade roads, including the original 54,000. It would also be notable to mention that the simple geometry of the the Interstate Traveler's rail design allows for easy down and up-scaling from the full 12 foot gauge, meaning it can be reduced downward to a 6 foot and a 3 foot gauge to serve county and city roads. The IT MAGLEV Vehicles used by the system can be designed so that their footprint can be changed from "broad footed" mainline system down to "narrow footed" subsystem to run through some very narrow MAGLEV roadway corridors, if needed. This would eventually account for hundreds of thousands of miles of rail serving virtually every community in America while simultaneously creating the worlds largest solar powered energy system. It is even possible to create a version that can run one or more stories above ground in a major community like LA or NYC, with entrance lobbies added to skyscrapers to allow on and off loading in a commuter like setting. All that's needed is sunlight and a place to mount the tracks! 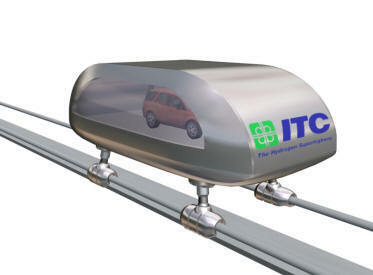 Some of the Interstate Traveler's rail system can also be "up-scaled" for use in special Interstate Traveler transit systems designed to move freight containers on larger transit MAGLEV vehicles along a wider, faster "Industrial-scale Hydrogen Superhighway". Imagine the MAGLEV Rail System equivalent of today's seaboard Container Ships, flying across country at 250 MPH from seaport to inland metropolitan areas, with the majority of cost of transportation fuel cost footed by THE SUN! MAGLEV comes in a number of different forms. Here is but one of them used in Japan... not necessarily as efficient as the innovative slotted linear motor design of Interstate Traveler, but an example of the science that makes it possible to travel at speeds up to 500 MPH that are in use already in Japan, albeit: no where as efficiently as the Interstate Traveler!